Oceanfire is the solo project of UK multi-instrumentalist Keith Hill. Hill is notably in the bands Signified and Civilian Zen, and has worked with not only various Hawkwind alumni in the past, but has also done work with spacerocker Vert:x. The music of Oceanfire is much closer in style to the electronic rock of his Civilian Zen project than it is to the alt-metal crunch of Signified, but he does inject a little heaviness into things as well. Exit-Rejuvenation is Hill’s follow up to a pair of EP’s, A Set of Songs Parts 1 & 2 that he released in late 2012/early 2013. On Exit-Rejuvenation, spacerock collides head on with upbeat, experimental/electronic music, for a distinctive and electrifying sound. The trip gets underway with a short, deep space ambient intro amusingly titled Exit (although likely a reference to the title of the album itself). After that, Oceanfire launches into Tribes, an exercise in heavy progressive psytrance. Synth whooshes whirl and swoop through pounding beats and pulsing rhythms as weird effects layer upon weird effects and vague melodies snake their way through the maelstrom, then gradually fade as the piece draws to its more minimalist close. Hill shies away from the more ‘new agey’ aspects often heard in the psytrance genre though, giving it a harder, weirder edge. The next track, Elevation, takes that same basic electronic template but morphs it into a heavy slice of spacerock, framed by something that sounds like Pink Floyd’s Welcome to the Machine elevator, complete with riffing guitars and vocals (although the vocals are fairly minimal, and fairly deep in the mix). Dystopia is next, an ambient journey that sounds like the soundtrack to one of those walkthrough displays you see in your local science center, accentuated by the authoritative voices speaking of technology that echo through it. The rest of the album pretty much takes the listener on a cosmic journey through spacerock realms, while still utilizing that electronica twist that gives Oceanfire its unique sound. We glide through Metaverses, with heavy guitars pounding along to a propulsive 2/2 drum beat as hazy, alien symphonies slip and slide across the rhythmic expanse. We race down the descending electric guitar chording, stunned as it crashes into great howls of space/time in Rejuvenations. 44khz (v.1) lightens things up a bit, being a kind of jauntier take on what Hill did in Metaverses, and then we return for the finale, Reversed Reality, which kind of breaks the mould, ripping out of the electrosphere into deep, spacerock territory, replete with scorching guitar work from Hill. A brief coda ends things off in the form of Land, as astronaut Chris Ferguson brings us in for a smooth landing amidst bleeping electronic effects and space shuttle noises. When Jerry reviewed the original two Oceanfire EP’s earlier this year, he wrote that he’d like to see Keith do a full-length album that focused more on the spacerock aspects of his sound. It sounds as if Mr. Hill took heed. 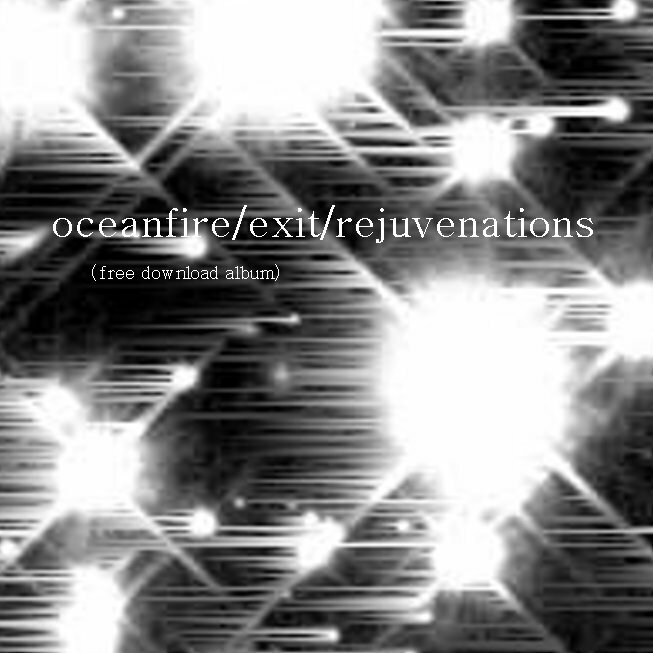 Exit-Rejuvention is one of the most exhilarating spacerock albums to come out so far in 2013. Keith Hill has made both this album and his previous EP’s available as free downloads on his Bandcamp page: http://oceanfire.bandcamp.com. What more can you ask for? Awesome spacerock for free!